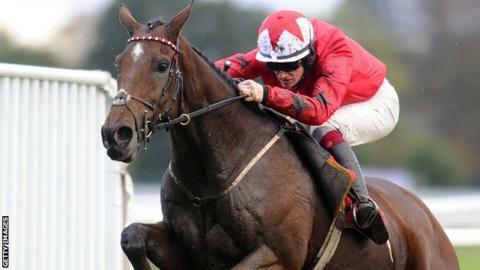 The New One returned to action with victory in the williamhill.com Hurdle at Kempton under Sam Twiston-Davies. The 2-11 favourite ran out an easy winner on his first start since landing the Aintree Hurdle in April, with Hint Of Mint (20-1) second and 6-1 shot Forgotten Voice third. The New One is the joint-favourite for the Champion Hurdle at Cheltenham in March. Nigel Twiston-Davies's horse was an unlucky third in last season's race.